"I love the worn look of the pocket tee, it feels so soft and cosy. 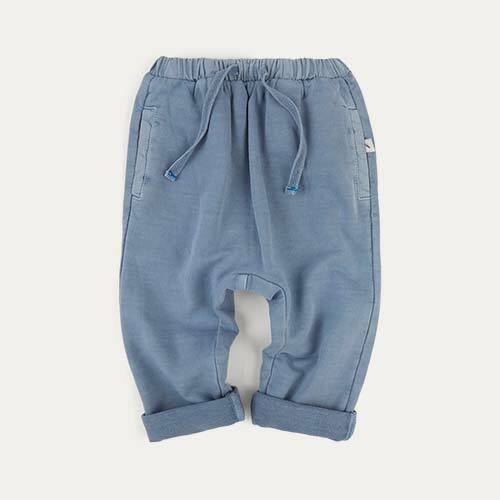 It looks great on Henty especially when paired with the cool KIDLY Joggers." 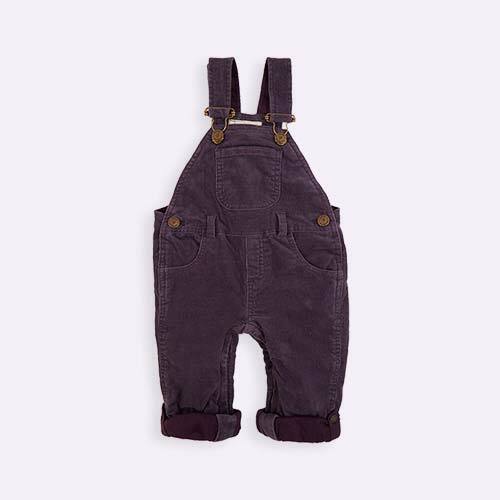 "Henty is a short 3 and a half year old, so we found the 3-4 year size was a little long in the sleeve. He preferred rolling his sleeves up any how." "It’s a lovely long sleeved tee which is great for layering. It washes really well, we haven’t had any colours run or seen any shrinkage." "Our Long Sleeve Pocket Tee is soft and comfortable. Garment dyed, we love its washed, relaxed style." This Tee is garment dyed. This manual dyeing process gives a unique washed look, but does mean the colour can transfer onto other garments or upholstery if it gets wet. A lightweight layer, our Long Sleeve Pocket Tee is great for cooler days. Made from garment dyed cotton, it’s sewn before the colour is added, giving it a laid-back, lived in look. With a contrasting woven patch pocket on the front, our pull-on style Tee makes dressing simple. Team it with joggers for a complete look, or wear it as a base layer under a sweatshirt. Because our Tee is garment dyed, there will be no shrinkage after washing.